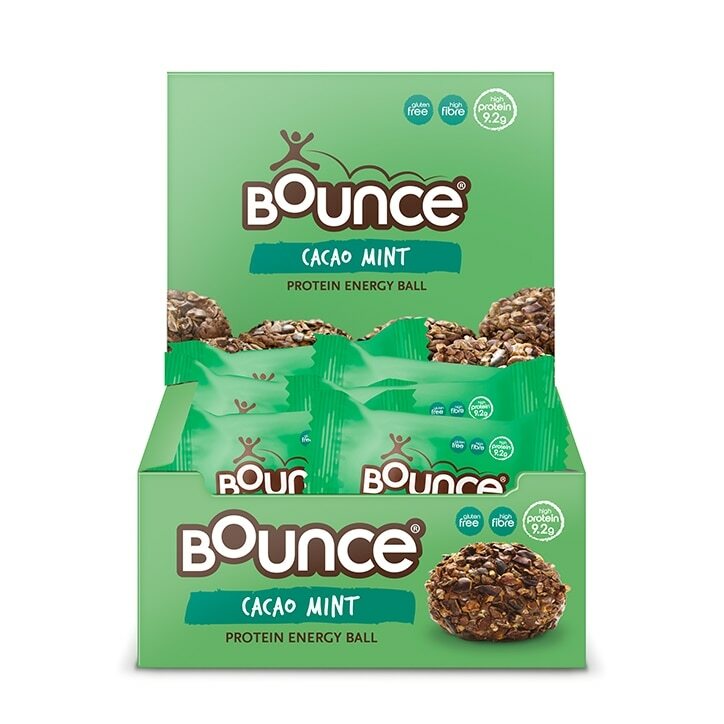 Bounce Cacao Mint Protein Ball is rated 4.5 out of 5 by 20. Rated 5 out of 5 by Ewesie from Tasty and filling I like running early in the morning but dont eat breakfast until mid morning. I therefore eat a bite before my run and the remainder about half an hour after I finish. This is a perfect stop-gap to re-fuel and stop me from over eating by staving off my hunger until “breakfast” time. Rated 5 out of 5 by Raccoo from Good chocolate hit These help get me through an afternoon at work, a long walk or journey - tasty and healthy. I've usually got one stashed away in the bottom of my bag, ready when needed. Very satisfying.